I love this drop-shadow type! 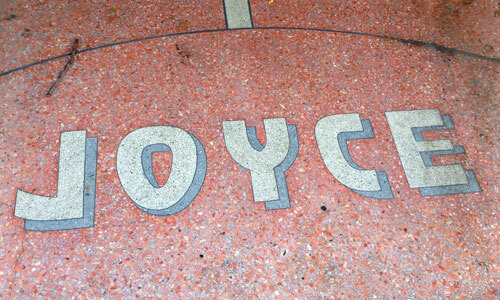 I spotted this old terrazzo entryway in downtown Mobile. 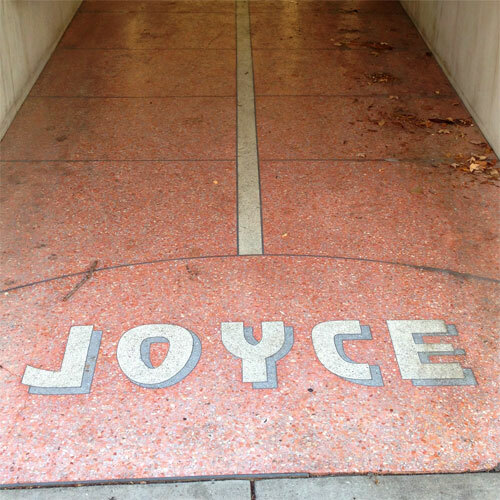 My guess is that this was a jewelry or clothing store, but it’s more fun to think that a larger-than-life woman named Joyce audaciously commissioned this typographic testament to her ego. Once you start noticing that kind of minutiae, life almost becomes a scavenger hunt!